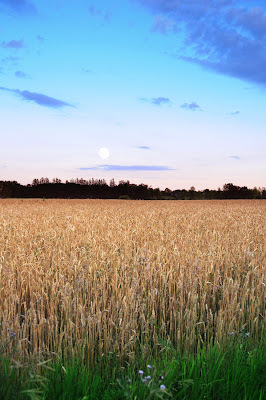 Early evening moon over farmland in Burlington, Ontario. On a separate note, if you have never viewed this site with a dark background (i.e. if the background is default white) then give it a try. It is usually better to look at photographs against darker backgrounds.